This show stopping timepiece has been designed to resemble a Helicopter instrument dial. The model has a sophisticated radar style function stop watch with a textured Jet Black dial. 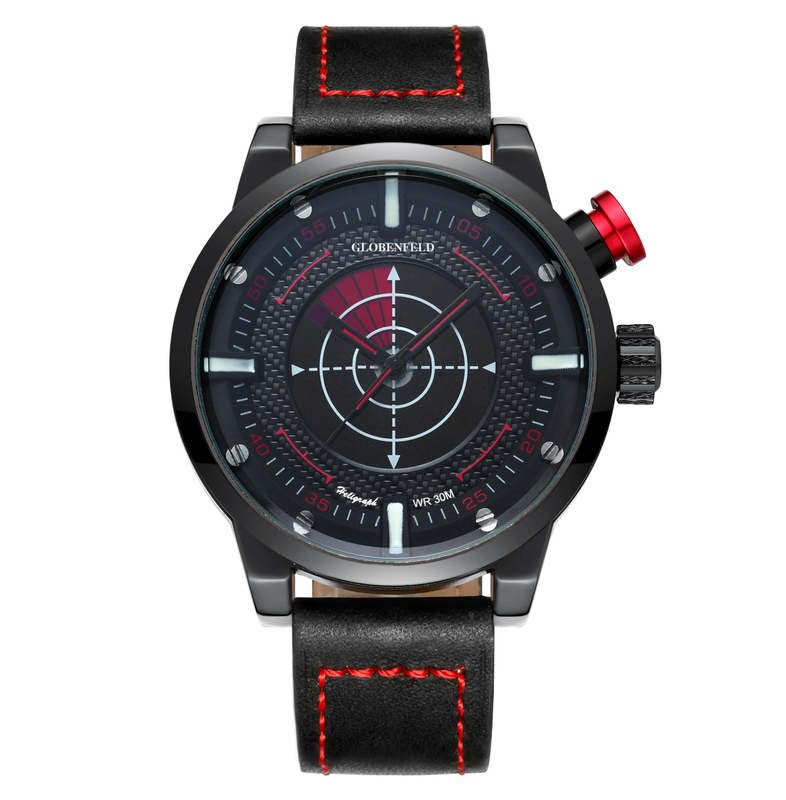 Pilot Silver indices and a Jet Black high grade leather strap with detailed Radar Red stitching all contribute to make this model one of the most unique watches produced to date by Globenfeld.